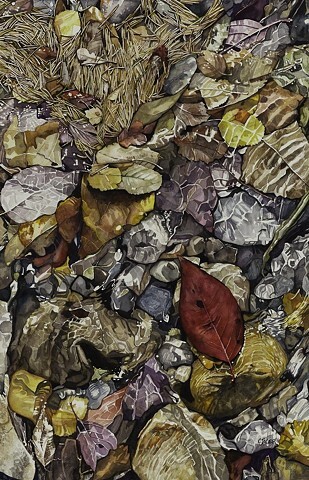 Combining my love for rocks, leaves, reflection, and an autumnal palette was daunting! I had this image tucked away in my inspiration folder for years before I finally tackled it. It bridges so many of my previous landscapes together that it's hard to describe how satisfying it was to feel confident enough to make this work, and how satisfying it was to enjoy the process from start to finish.